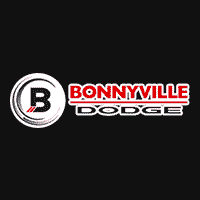 Experience the world from an elevated form of truck and work with the experts at Bonnyville Dodge to find the best used Dodge Ram 1500 for sale in Bonnyville, today! We’re confident that you’ll have the resources you need and the support you deserve to narrow down our options and find the best truck to meet your driving experience and requirements. Do you need a truck that can tackle the roads and tow a significant amount of weight? The Ram 1500 definitely has options for you, thanks in part to its various engine options. Start by checking out the award-winning 3.6-Litre Pentastar VVT V6 engine and know that you’re going to have great fuel economy backed by the general power and presence that has continued to earn Ram its top spotlight in the industry. Step over to a Ram 1500 that has been equipped with the fantastic 5.7-Litre HEMI VVT V8 engine and know that you’re making a decision that aims to put you on the road with all the presence and power you’re entitled to. Of course, there’s always an opportunity to check out the impressive, class-exclusive might of the 3.0-Litre EcoDiesel V6 engine that has features and fantastic opportunities throughout. Whether you want to take note of the practical value of best-in-class fuel economy or you want to take note that the EcoDiesel offers up to 400 lb-ft of torque – an unprecedented number for a light-duty truck – you’ll have all you need to make an impression with a used Dodge Ram 1500 for sale at Bonnyville Dodge. We’re looking forward to working for you and with you in order to uncover the features that are must-haves and those that you feel will make your driving experience even better. Let’s get to work today and show you why so many drivers continue to make Bonnyville Dodge their go-to store for all things Ram!